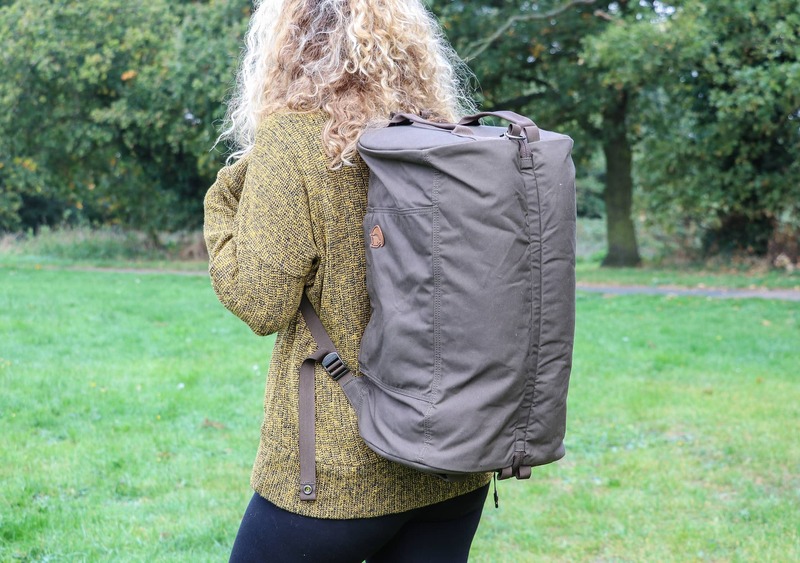 Having reviewed the Fjallraven Travel Pack and Kanken Mini, we’re low-key digging this brand. We’ve mainly been impressed with their minimalist aesthetic, quality materials, and durability—and we hope the Splitpack can continue to deliver on all of these fronts. So, how does the Fjallraven Splitpack work as a duffel and a backpack? 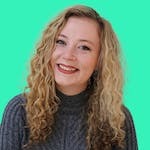 Does it do one better than the other? Could it possibly—*gulp*—fall short at both? Let’s find out. With its clean lines and streamlined design, the sleek Scandinavian style of the Fjallraven Splitpack is easy on the eye. However, beauty is in the eye of the beholder, so we polled our Instagram audience about the look of this pack. Only 33% said they liked the look of this pack, which is surprisingly low. We do polls like this all time, so if you’d like to partake in the next one, make sure you’re following @packhacker on Instagram. The branding on this pack is minimal and strategically placed. The most noticeable is Fjallraven’s arctic fox logo on the side. Additionally, there is that same arctic fox logo etched into the snap fasteners and clamshell zipper pulls—Fjallraven does have one of the slickest logos in the game, so we can’t blame them for wanting to use it. 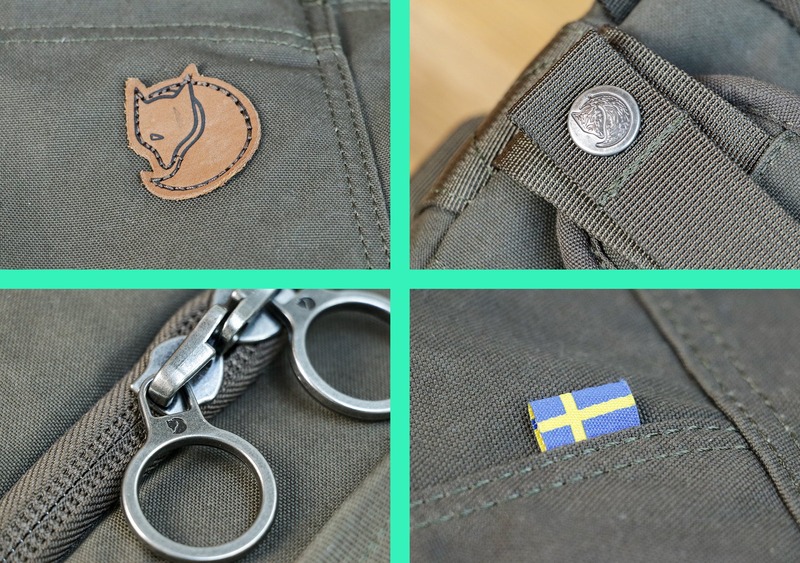 Next, there is the Fjallraven name on the shoulder strap buckles, and finally, a Swedish flag tab on the back. It sounds like a lot, but it really isn’t—you have to look pretty hard to find most of them. And we think they look pretty great. 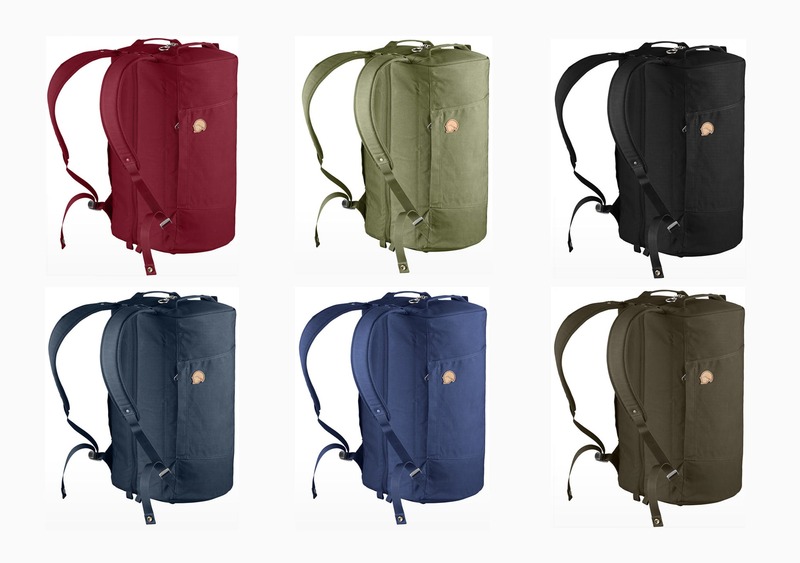 The Splitpack is available in six colors—black, dark olive, deep blue, green, navy, and redwood. We’re digging the subdued, earthy tones, and we’ve been impressed with how our dark olive pack fits into both an urban and rural environment. 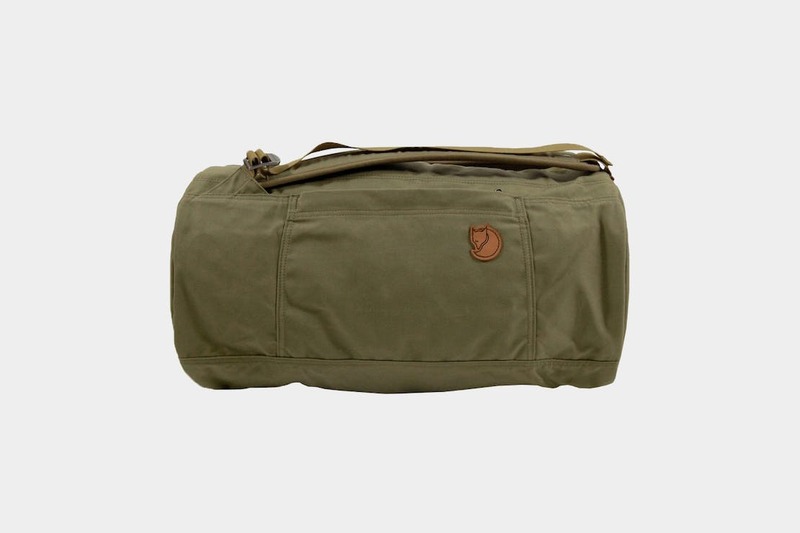 The material of this pack is made of G-1000 Heavy Duty Eco—Fjallraven’s unique canvas blend of 65% polyester and 35% cotton. We dove deep into the details of this material in our review of the Fjallraven Travel Pack, so if you’re crazy into this stuff like us, head over there to read more. In short, all you need to know is that it’s a durable, weather-resistant material that has performed well for us in testing. 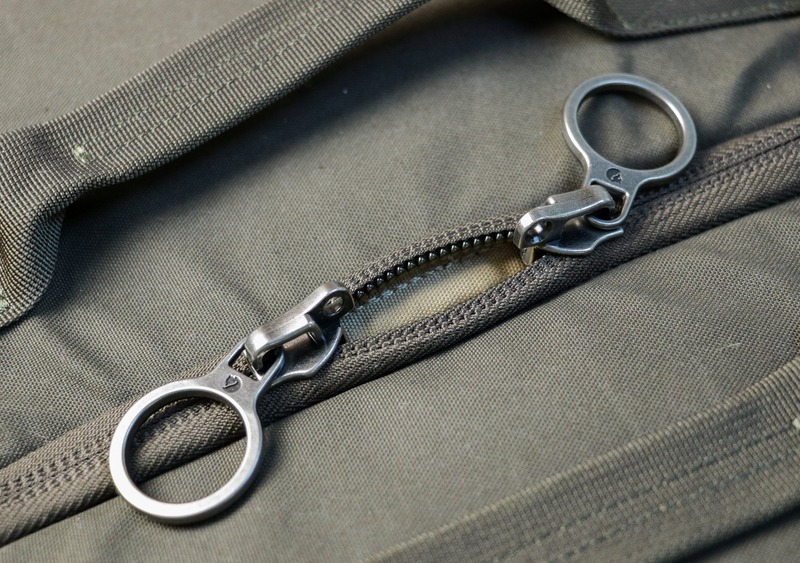 The Splitpack also features metal zipper pulls, buckles, and snap fasteners. We appreciate Fjallraven’s decision to opt for metal here over plastic, as they’re more durable. They also give the bag more of a “premium” feel. Diving into the external components, we’ll start with the harness system. 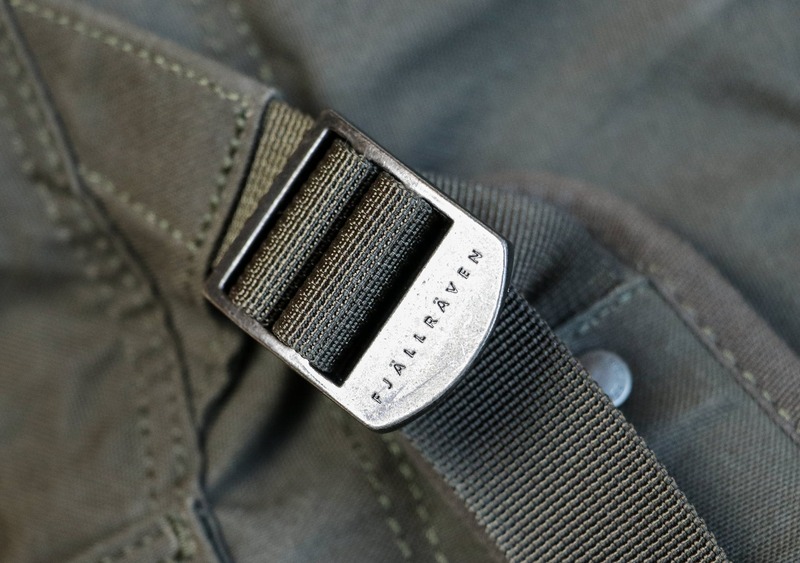 And we have to be honest, the Fjallraven Splitpack doesn’t offer much of a harness system. There’s no hip belt, sternum strap, or load-lifters—just a pair of basic shoulder straps. Some bags can provide a comfortable carry without these additional elements, but we’re not going to beat around the bush here—that is not the case with this pack. 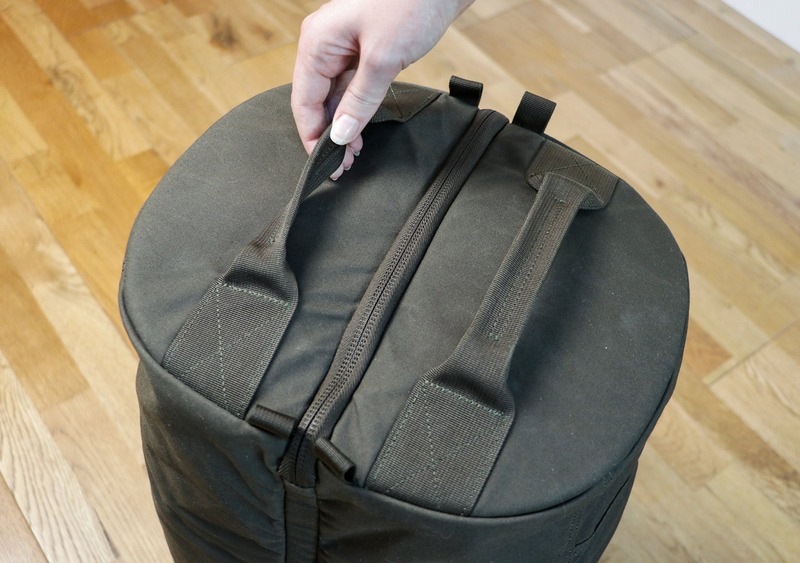 Without external features to secure this bag onto your frame, it just droops off your back, making even a medium-sized load uncomfortable to carry. The shoulder straps and back panel are padded, but that’s where the pros end—it’s pretty bleak. The shoulder straps transition into duffel handles by pulling the straps as far as they will go through the buckle, and then securing the snap fastener for a #danglefreeexperience. The issue is that, although you can carry these straps as a duffel, they’re still just shoulder straps. They don’t fit comfortably in your hand, and when this bag is full, it can be hard to hold the straps together. Other than the duffel/shoulder straps, there are grab-handles on either end of the bag. They come in handy for lifting the pack into overhead storage on planes and trains, but not much else. We think an additional grab-handle on this bag, either on the side or back, would vastly improve the carry options. 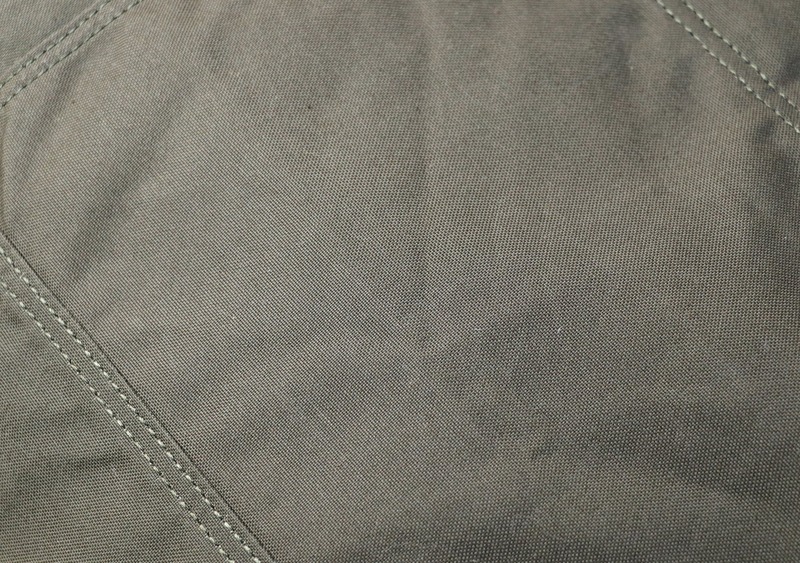 There are two external pockets on either side of this pack. They are an excellent size for your typical quick-grab items—like a passport, wallet, phone—and we were even able to fit a Kindle in them! Just be aware that these pockets do lack depth, so when this bag is at full capacity they can be a tad tricky to access. It’s also important to note that this pack doesn’t have a water bottle pocket. The severity of this is dependent on your use case—but for us, it gets marked down as a con. For those of you that emphasize security, you’ll be pleased to hear that both the exterior pockets and clamshell zippers sit against your back, making it almost impossible for a thief to gain access when this thing is on your back. 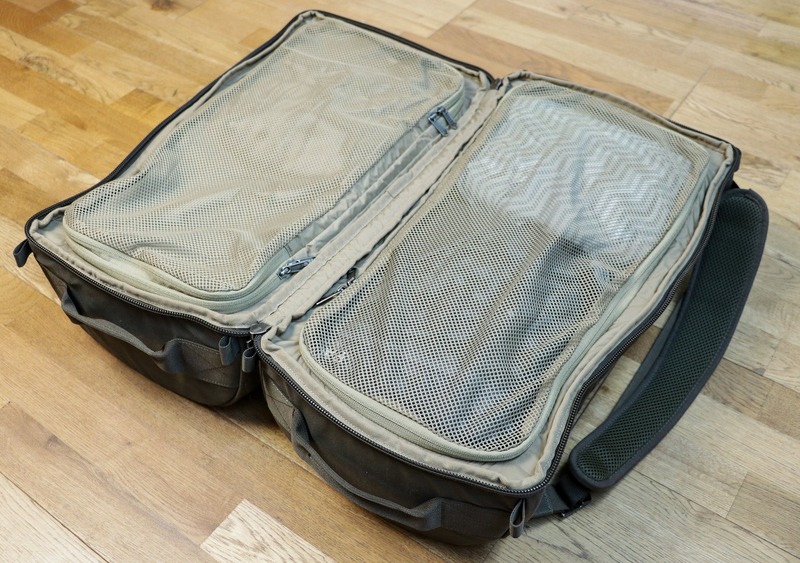 Thanks to its clamshell design, the main compartment opens up all the way, like a traditional suitcase. The big YKK #10 clamshell zip features a large metal zipper pull for easy pulling, and there are also holes that you can pop a padlock through to secure the zips together—better luck next time, thieves! 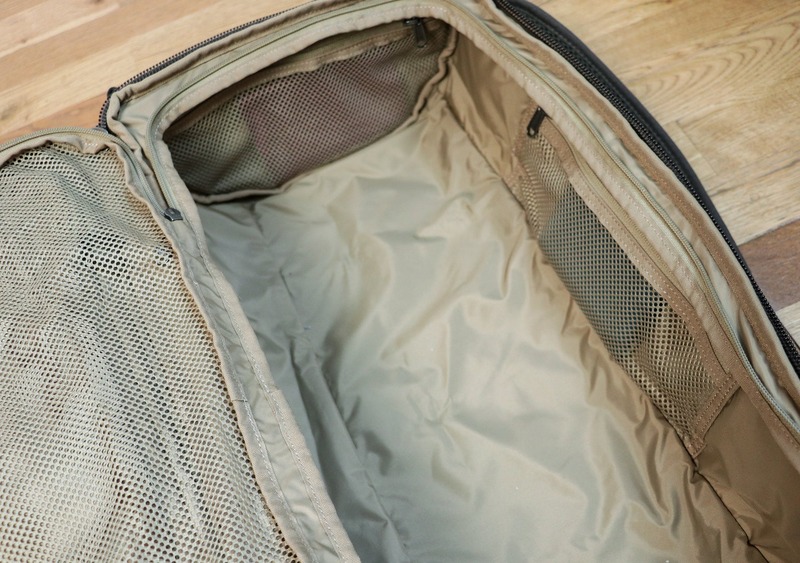 Inside the pack, you’ll find two equally-sized compartments with zippered mesh dividers. The right-hand side features a couple of internal zippered pockets that are useful for storing smaller items inside. 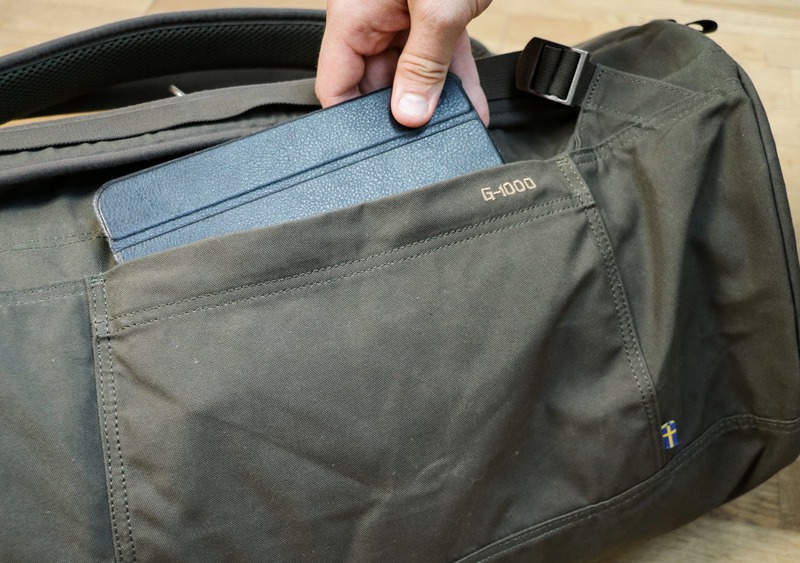 The left-hand side compartment lacks any internal organization, but it does have a thin zippered pocket on top, perfect for flatter items like a notepad or various travel documents. Because the Fjallraven Splitpack divides its compartments between left and right—as opposed to front and back—you have to be mindful where you’re packing heavier gear. It can be a bit tricky at times, and the carry becomes lopsided if one side is heavier than the other. 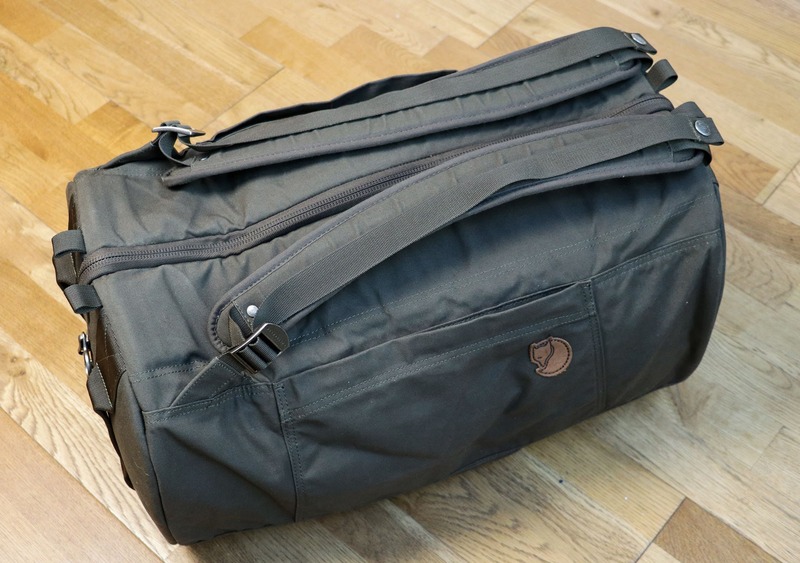 At this point in most travel backpack reviews, we’d talk about the laptop compartment, but we won’t be covering it in this review—because the Fjallraven Splitpack doesn’t have one. 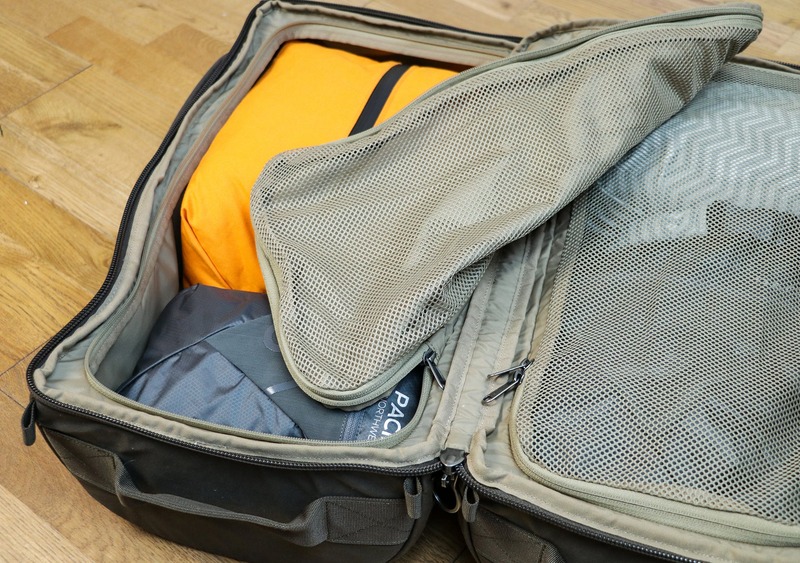 This is a must-have feature for most digital nomads, but it may not be an issue if you’re looking for a pack to take with you on short city breaks—it’s ultimately up to you and your use case. 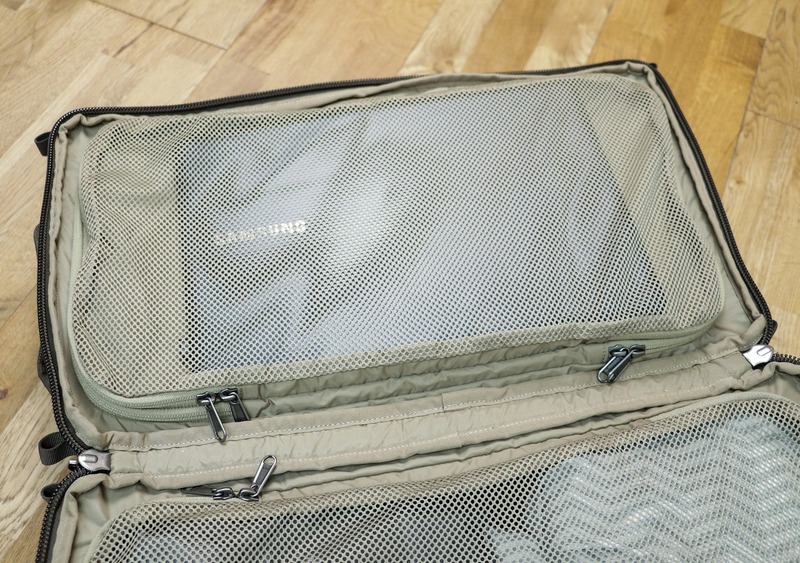 We did find that you can fit a 13” laptop within the thin mesh sleeve on top of the left-side compartment, but it’s less than ideal. 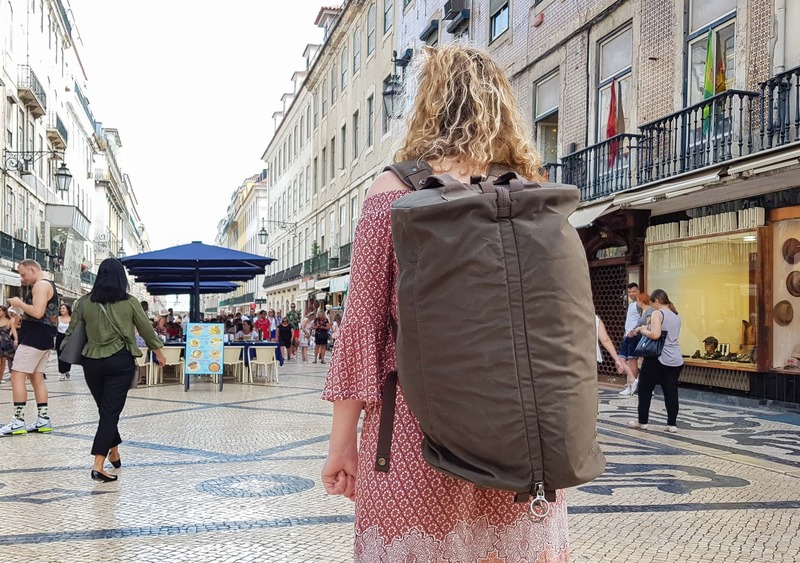 We’ve been testing the Fjallraven Splitpack for about one month, and it’s seen use as a one bag travel pack on a ten-day trip to Portugal. Just like the other Fjallraven packs we’ve reviewed, the craftsmanship is impeccable and the quality materials—such as the G-1000 fabric, metal components, and YKK zippers—assure us that this bag is built to last. After one month of use, our Splitpack still looks as good as new. We’ve found that the G-1000 material on the Fjallraven Travel Pack marked easily, but we’re pleased to say that this hasn’t been the case on the Splitpack. Though, like the Travel Pack, it did attract a fair amount of fluff—we are extra nit-picky here, though. The concept of this pack had most of us on the Pack Hacker team pretty excited. Unfortunately, it has failed to deliver. Both the backpack and duffel-style carry are uncomfortable, and we’re left questioning just who this bag would work for. 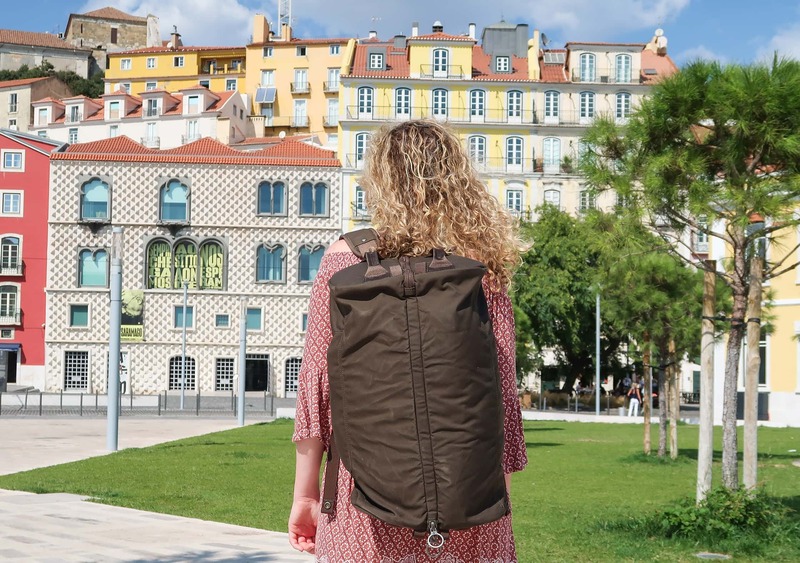 The lack of a laptop compartment makes it inadequate for digital nomads, and the poor harness system and lack of a dedicated water bottle pocket make it impractical for the more adventurous travelers. 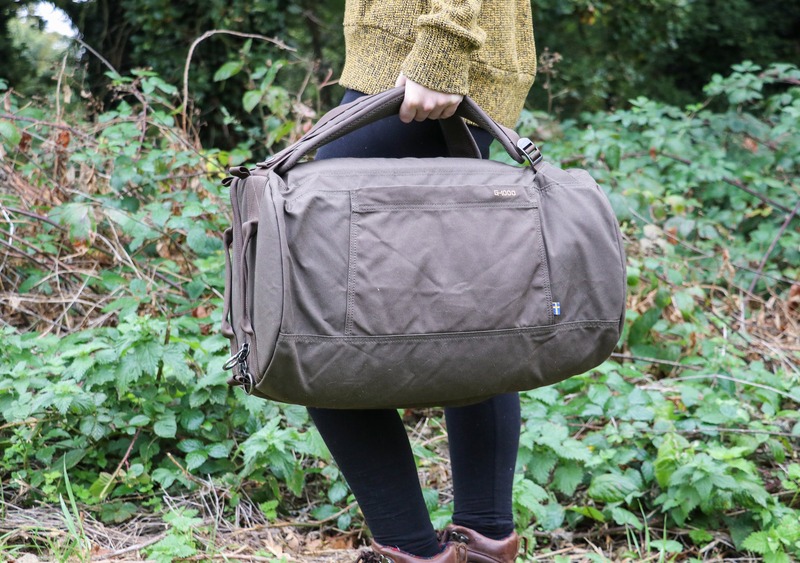 Perhaps it could work well as a dedicated clothes bag for more long-term, extended travel with multiple bags? That’s not really our kind of thing, so it’s hard to say. We did find some success using this pack as a gym bag… But needless to say, we expected much more from this bag. Looks great out of the box, loving the dark olive color. Survived a ten-day trip to Portugal, but it didn’t provide a comfortable carry. Durable materials and components used throughout. Discreet branding that’s strategically placed. Lacks a water bottle pocket. Not comfortable to carry as a backpack or duffel. With its minimal aesthetic and interesting design concept, we had high hopes for the Fjallraven Splitpack. Unfortunately, it fell short in both practicality and comfort. If you’re looking for a gym or weekend bag, this pack may work for you. But we think it’s missing too many key features—like a laptop compartment and comfortable harness system—to be considered for serious travelers and digital nomads.